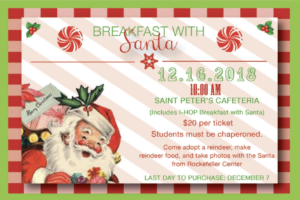 St. Peter will be hosting Breakfast with Santa on December 16th. 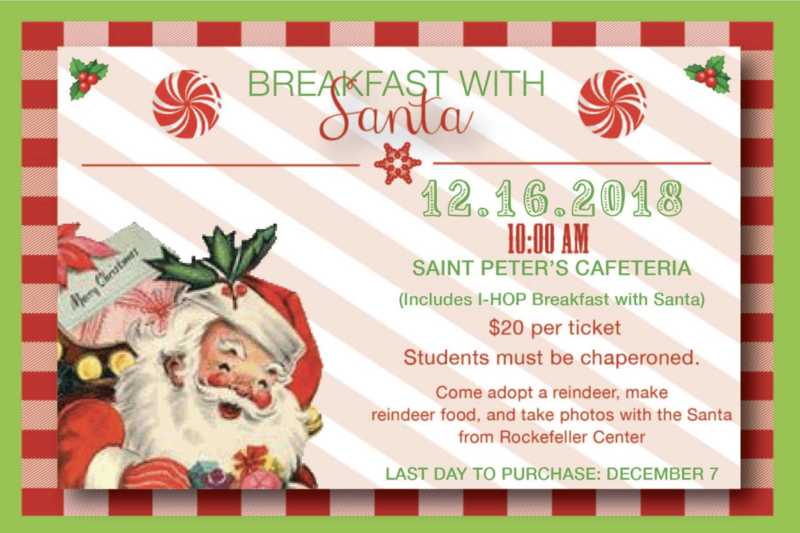 All are welcomed to have a delicious I-HOP breakfast and adopt your very own reindeer! Santa will be making an appearance to take Christmas photos! Make sure to get your Christmas list ready to give to Santa! Tickets are $20 and the children must have a guardian with them. Please click the link below if you would like the reservation form.